Georgia Lee is designed to become part of the habit, part of the canvas of people's daily lives. It started when Katie's connections in the food and coffee worlds of DC led to a string of custom commissions for local businesses, which pushed her pottery from a hobby to a business. She loves the collaboration and creativity that comes from making functional ware for people who are also passionate about their craft. From the beginning of her work with clay, Katie began dreaming of wood and metal. 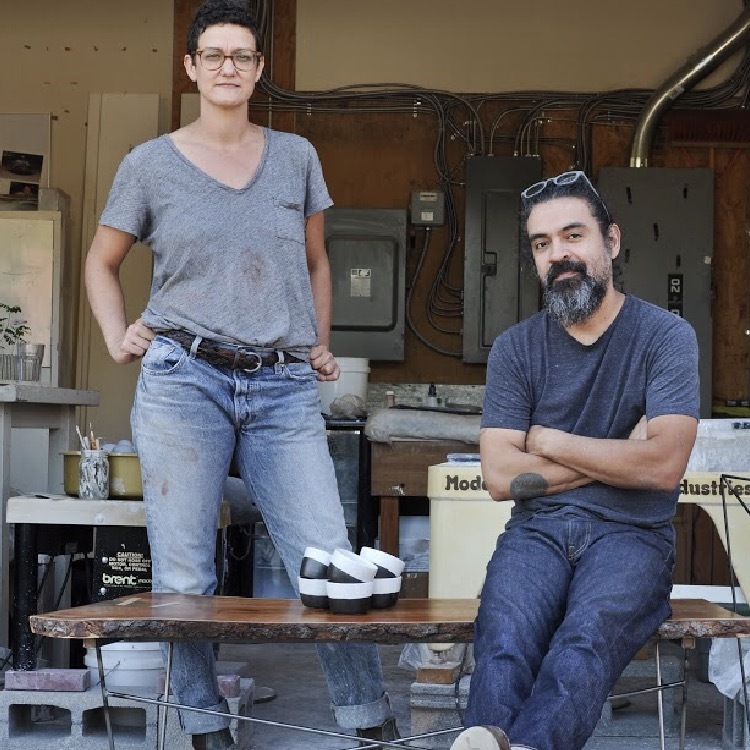 When she met and started working with Francisco, an artist and fabricator working in wood and metal, the vision for a collaboration came together. Francisco has long had an affinity to things ceramic and is inspired by combining materials. Our work is informed by space and shape. It is inspired by how people move through their lives and the spaces they inhabit, particularly creative spaces. We collaborate using our collective creativity and problem solving, elevating the process and our work.